AWA Breakfast on the Farm transformed campus into a farm family for city kids like me. As someone who didn’t grow up on a farm or have any direct ties to farming for most of my life, I often find myself feeling a bit jealous of those who can return home to their family farm. While everyone experiences their own challenges as they grow up, being born into a farming family introduces a very unique set of opportunities that are often not presented to anyone else. Farm kids have experiences from their childhood that hopefully led them to respect and cherish their connection to agriculture. For those of us not born into it, we have no idea what it’s like to do farm chores or possibly not see one or both of our parents for long lengths of time during planting or harvesting seasons. Personally, I know that I cannot change the professions my parents chose for themselves (and I try not to hold it against them too much . . .). For me, I was fortunate enough to be inspired by the community that I found in my undergraduate education and by the passion shown by my peers. 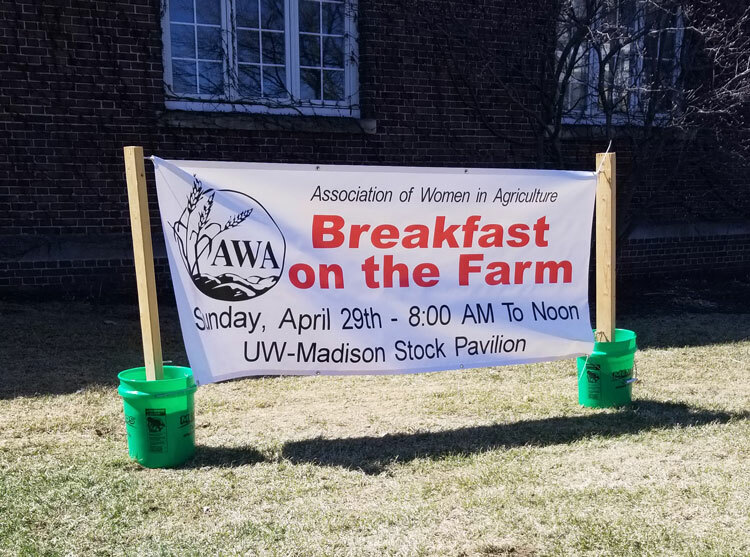 It’s because of this that every year I look forward to attending the AWA Breakfast on the Farm, an event run by the Association of Women in Agriculture, a student organization at the College of Agricultural and Life Sciences in Madison, Wisconsin. On Sunday, April 29, they hosted a lively breakfast outside the Stock Pavilion complete with pancakes, eggs, sausage or ham, local Wisconsin product samples (cheese, please! ), milk, and coffee. They even coordinated musical entertainment through the UW Marching Band, and a student-led “a cappella” group. Once you were done eating, you could head inside the pavilion doors to be warmly greeted by the welcoming moos, chirps, and baaaaaas of the petting zoo. It was at this event during undergrad that I had one of my first opportunities to interact with farm animals, and watch first-hand as my peers showed me the dedication and careful planning that goes into keeping them happy and healthy. Motions and skills that looked so natural, it made me keenly aware of my own shortcomings in this category. Despite feeling inadequate in the moment, this event was so crucial for me in my journey towards a career in agriculture. It drove me to want to learn more and continue seeking out new experiences. I am always thrilled to see the excitement, engagement, and questions that come from participants of all ages, quite possibly witnessing everything for the first time themselves. In a way, returning to my old stomping grounds has become my way of returning to the “family farm.” It’s a time to reminisce, appreciate my roots, and watch others share in the same delight I had experienced some years ago. 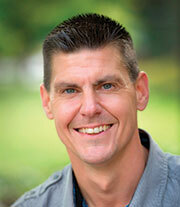 The author is the special publications manager. Aisha is a graduate of University of Wisconsin-Madison with degrees in Life Sciences Communication and Environmental Science. She is responsible for the Hoard’s Dairyman bookstore and creating educational resources for farmers, students, and dairy industry professionals. Trevor DeVries presents "Calf rearing affects lifetime eating behavior" on Monday, May 14, 2018, at noon (Central time). The feeding behavior patterns of dairy cattle are known to impact health, productivity, and welfare. Trevor DeVries, University of Guelph, will discuss how the way we feed, house, and manage calves impacts the learning and persistence of their feeding patterns. The webinar is sponsored by AAS.